Yesterday was Veterans Day. We thought it would make sense for the Badass Knife of the Week be an actual knife that has been used and still gets used by the military. 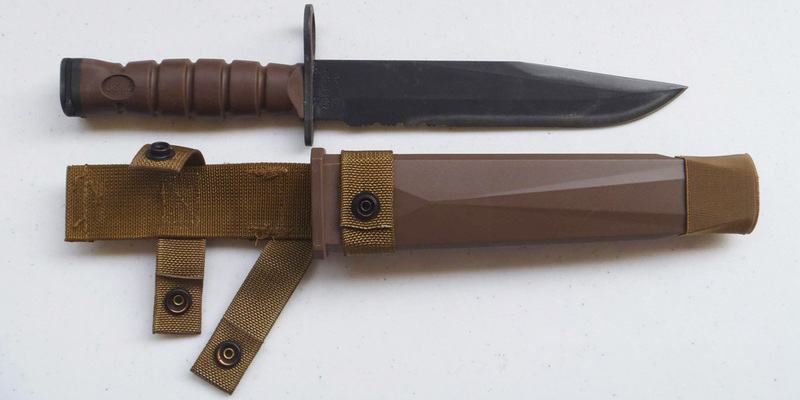 The Ontario Knife Company OKC-3S Bayonet is a multipurpose fixed blade designed by the United States Marine Corps to be used as a bayonet for M16 rifles. In the grand scheme of things, the OKC-3S is a relatively recent design that outperformed nearly three dozen other knives submitted for evaluation to the Marine Corps. This multipurpose bayonet was the best in just about every category, which is why it was issued to Marines starting in the early 2000s. If the design looks familiar, it makes sense. This knife is essentially an amalgamation of all the tried-and-true designs that came before — from the iconic KA-BAR to the M-7 Bayonet. The thick blade is 8 inches long with a partially serrated edge and uses black-coated 1095 carbon steel. It is aimed at being a multipurpose tool that won’t break under duress. The handle is made of a synthetic nonslip material called Dynaflex that covers the full tang and provides a solid grip. A metal guard also keeps the fingers from accidentally sliding onto the blade. Although the knife can be affixed to several types of rifles, it can also be carried in the included polyester elastomer scabbard. Ontario is one of the few American companies that makes bayonets for the military and the only one to make the OKC-3S. This multipurpose blade has been a faithful companion to countless Marines. 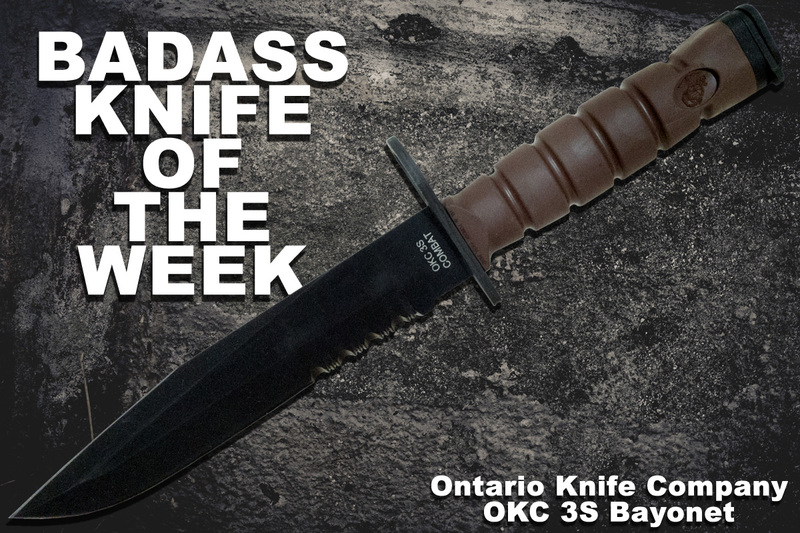 For more info on this Badass Knife of the Week, see the product page for the Ontario OKC-3S Bayonet. The OKC 3S Bayonet truly is one BADASS knife!! A bit expensive though, but I suppose that if it really is that tough, then it is definitely worth every penny. I have this Bayonet and I use mine for utility purposes. It is very comfortable to hold and I can hold it all day it feels that nice! I have never seen one break or anyone saying anything bad about this knife. It’s my main, go-to knife whenever I go out into the wild. I hope that someday, I’ll be able to get an AR-15 or an M4 and mount my Bayonet in pride. In the meantime, it’s my favorite survival/utility knife.